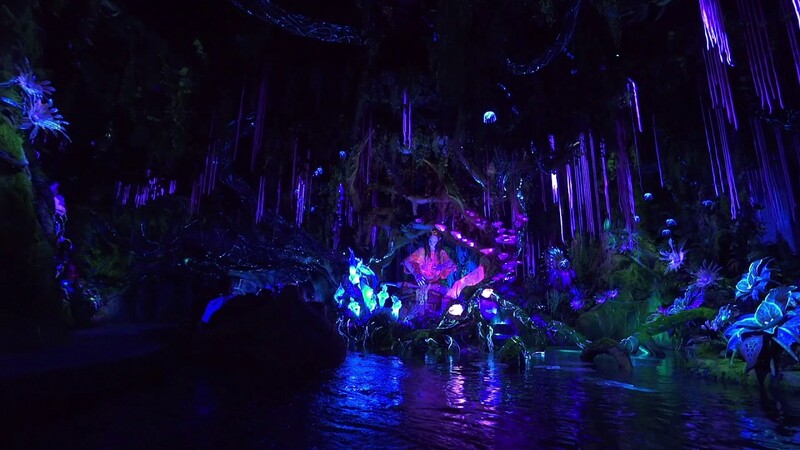 A family-friendly expedition, Na’vi River Journey takes guests on an adventure down a gentle, mysterious river hidden within the sacred bioluminescent rainforest in search of the Na’vi Shaman of Songs. Seating Layout 8 person boats, 2 rows of 4. Set sail on a river journey unlike any other. On a moon that is light years from Earth. You are not alone, either. This riverscape pulses with sensational sights and sounds that fill your senses. And, at journey’s end, a very special surprise. Aboard the reed boats of the family-friendly Na’vi River Journey, adventurers float through an alien world beyond their imagination. That wonderment begins in the very heart of Pandora – The World of Avatar, the all-new land in Disney’s Animal Kingdom at Walt Disney World Resort. As guests approach the iconic floating mountains and waterfalls on Pandora, a towering totem beckons. 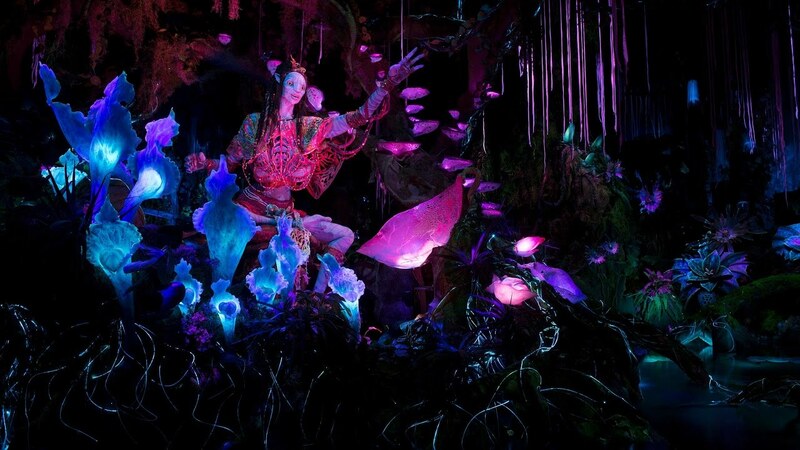 Paying homage to the mystical Shaman of Songs, the massive totem was delicately woven by the Na’vi, the indigenous people of Pandora, and celebrates the shaman’s deep connection to the life force of Pandora. The totem also invites guests to venture further into grottos that lead to the mystical river – and an eventual encounter with the shaman. At the water’s edge, guests board those reed boats. Barely have the boats cut the first ripples of water when a Na’vi warrior appears. With a nod, he grants passage to the human voyagers, and soon an amazing scene unfolds. 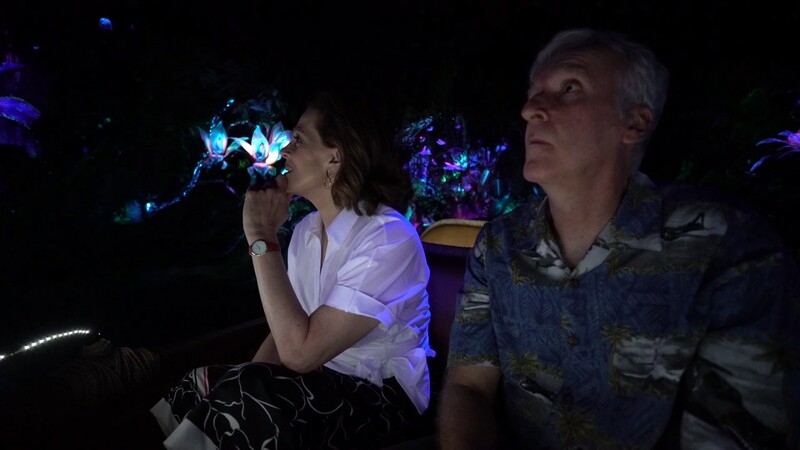 A spectacular bioluminescent rainforest surrounds guests. By day or night, boats pass through this darkened world, pushing deep into a jungle alive with exotic glowing plants and traversed by Pandoran creatures. Keen observers will notice that the animals and Na’vi are moving in the same direction as they make their way to see the shaman. Music is heard, which means the shaman is not far off. The journey builds to an encounter with the remarkable Shaman of Songs. Like most Na’vi, she is nearly 10 feet tall. Music is central in Na’vi culture. Guests observe the shaman in the midst of a musical ceremony, playing an instrument and singing. Through her music, the shaman sends positive energy into the rainforest, telling of the sacred bond with nature that Na’vi and humans share. Disney technology put fluid energy into every movement and gesture, Rohde said. It is part of Disney’s attention to detail that makes Pandora a world of adventure, he added.